These were pretty good. 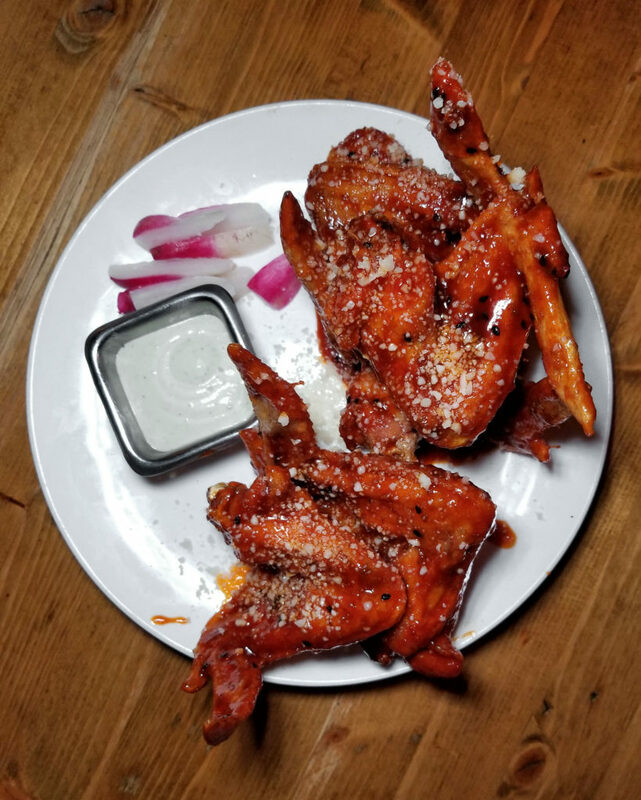 Crisp outside, tender inside, and I like the fact that they serve you the whole wing. The sauce was nice too. 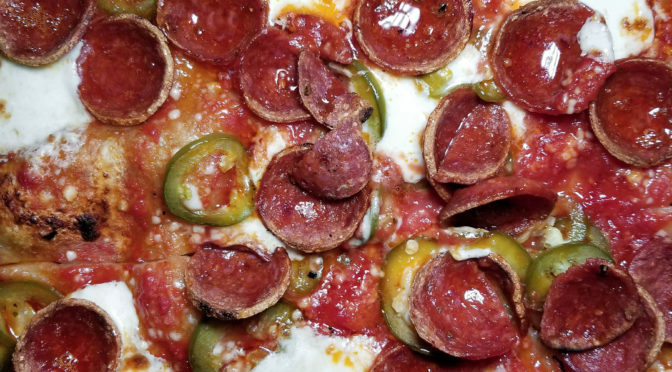 We also tried the colony pie, which has mozz, tomato sauce, pickled jalapeños, pepperoni and honey. This was really flavorful. 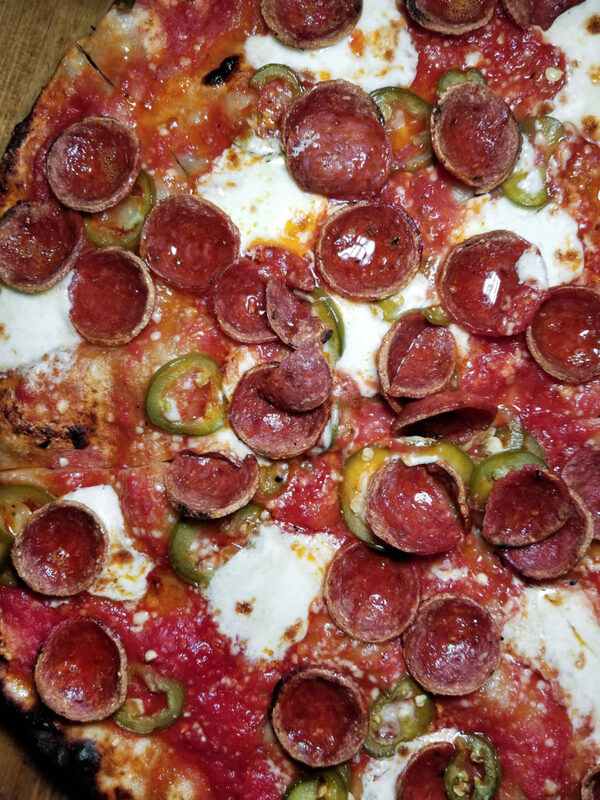 Overpriced for a small pie at $22, but the dough was thin, crisp and cooked nicely. I bet their square version “Detroit” style is better at their other locations.